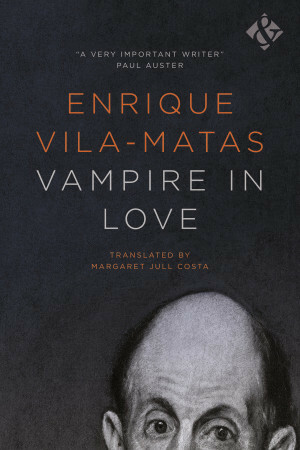 The first collection of Vila-Matas' short stories in English translation is named after the fifteenth story in the table of contents, but might better have been named after the seventh, Death by Saudade because it compresses Vila-Matas' work into a black hole. Just as Harvill Secker’s abbreviation of Montano’s Malady, his second novel in English, excludes any mention of illness, the choice of this title disguises the nature of his fiction with a predictable play on genre. This is entirely understandable, as publishers must assume potential consumers read for what is misnamed 'entertainment' rather than to assuage saudade, a Portuguese term with no equivalent in English but defined by Wikipedia as "a profound melancholic longing for an absent something or someone that one loves". Indeed, to misquote Kafka, we might wonder how can one take delight in stories unless one flees to them for refuge. There's the extra worry for the publisher in that potential readers are notoriously resistant to short stories, as they minimise the pleasures of following a character as they traverse deep time. To mitigate this, short stories are narrated more often than not in the first person, with Vampire in Love no exception. "I fled in terror because I had suddenly understood that what I had just seen, with utter clarity, was the face of the evil ravaging the streets of the city and which my parents, in low, cautious voices, called the wind from the bay, the wind that drove so many mad." From then on and into adulthood he feels like a vagrant himself, travelling to evade anxiety and melanchoy all the while "filled with the temptation to leap into the void". He walks through the city of Bernardo Soares full of beautiful places to make the leap. Back home he tries to paint what he saw on the street but never finishes anything. The plenitude that promised so much in childhood is revealed as something else: "I say to myself that life is not achievable while one is alive". 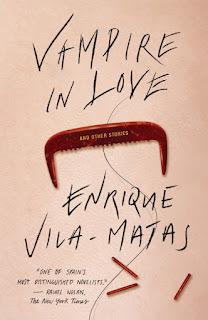 You might think all this means Vila-Matas' fiction is negative, not life affirming, depressing even; everything 'entertainment' seeks to repress. This is because Vila-Matas is attuned to the enigma of fiction, of this strange need to read and write – here projected into travel and painting. His fiction shadows its logic. Why, after all, has the dry cleaner spoken at all? And why are we listening in this way? 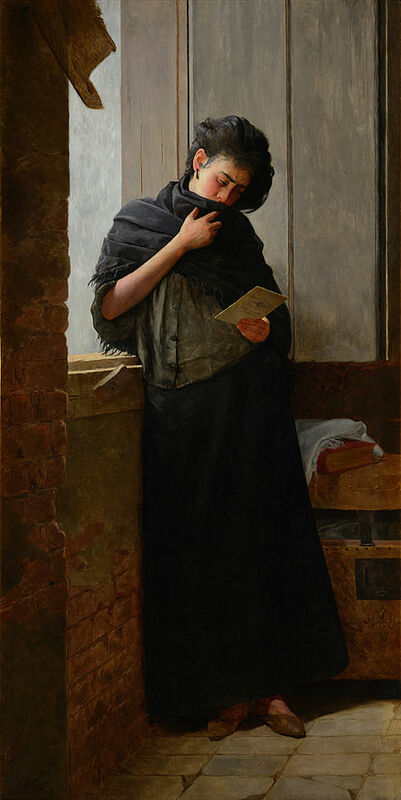 The issue of the story before us is neither whether the narrator is convincing, reliable or anything else, nor whether the form of his narration is traditional, experimental, modernist or postmodernist, but the paradox of saudade: a word whose meaning requires translation even in its language of origin, a condition that is magnetic and mirror-like, pinning the sufferer to mortality and reflecting their denial, and yet that which gives life purpose and meaning, which returns us to the child wanting to discover what is beyond and so to fictionalise himself as a woman to do so, then to duplicate the breeze in paint, and so to accommodate it, to make life and death indistinguishable. Life by saudade. His friend finally reveals that his seafaring grandfather had in fact killed himself, and later the narrator discovers that numerous other members of the same family had also killed themselves. They had succumbed to saudade and "experienced the only possible plenitude, the plenitude of suicide". Vila-Matas' comedy is never far away. The paradox of saudade is then the paradox of reading and writing. At the end, the narrator says he will not leap into the void, while the story demonstrates otherwise. "Literature belongs to those who are at home in the world"
The #Readwomen hashtag has apparently been so influential and successful that of the eight books on the Richard & Judy Book Club Spring list, six were written by women. (There are other examples to confirm its success, such as the much more valuable Goldsmiths Prize, won by female author in its first two years.) However, this didn't stop criticism that the authors were all white. When I observed that this was churlishly moving the goalposts, the critic moved the goalposts back and told me to "count up proportion of women on any bookshop table". Of course, health and safety laws discourage authors from gathering on tables already laden with books, but the remark did prompt me to wonder why I never look for books by authors who share my background. That is, why don't I count the number of books by working-class authors? You might find this question demands clarification. How can you tell whether an author is working class? Do you search by name, photo, the subject matter of their book? You could spend all day guessing. For years I didn't even realise I was working class, so what chance the name on the spine of a book? Now that I know, I've become more aware of how it has informed my reading and writing. But not in the way you might expect. This won't be a mini-Bildungsroman tracing a path from the shadows of dark satanic mills into the light of streets strewn with mung bean salad. One reason is that being working class in England is often a synonym for Northern, and I'm the least northern Englishman. Any more of a southerner and I'd be French. The experience of being working class in the deep south appears to be distinct and difficult to summarise. Lars Iyer's Office Life series goes some way to define an estrangement embedded so deeply as to be imperceptible. When I first felt the need to read books of any kind, I was more or less uneducated and long-term unemployed. My friends had moved on and I had no idea where to start. No guidance. The local newspaper didn't have book reviews and there were only the occasional references on television, mostly concerning a book's relation to pressing current affairs. Certainly the long aftermath of the Falklands War and the Miners' Strike had jolted me out of the conservative, patriotic assumptions absorbed from my surroundings: a naval town with a high turnover of inhabitants as families moved in and out according to military needs, and in which class was on the one hand clearly defined by where you lived – Christopher and Peter Hitchens grew up in the posh area because their father was an officer – and obscured on the other by military cohesion against the perceived common enemy. Everyone was, so to speak, in the same boat. Indeed, Peter Hitchens and I share a psychogeographic thing for the local ferry. I crossed the harbour first to get to Fratton Park ("the best atmosphere in world football" according to Ronaldinho) and then the big central library and secondhand bookshops. Eventually reasons for the journeys would coincide and for 50p I bought an old Penguin paperback of Canetti's Auto da Fé on the way to a match and read a few pages on the terrace before kick off (1-1 v Fulham). The ferry dominates my dreams as a chimera of escape and return, and whose place in waking life is taken, in a curious inversion, by books. What I sought then was not a supplement to current affairs but reasons for this imperceptible remove: why is there nothing rather than something? An anecdote might help to explain the difficulty of this search: In a bookshop before Christmas I overheard two grandparents loudly seeking a novel their granddaughter had specified she wanted. I paused to hear the title. They spoke it as if the book was an exotic rarity to be sought out with great attention, as they had clearly never heard the title themselves: The Handmaid's Tale. Of course there was a pristine paperback on the shelf. £6:99. The choice aroused unexpected emotions in me: disappointment, frustration, envy. A young woman appeared before me: happy, loved, ambitious and keen to display independence by making a special request to her elders for a public expression and reinforcement of an identity, with this novel offering its lore; a choice as predictable as when in the same shop twenty-three years earlier I overheard a nervous young man, evidently in a bookshop for the first time in his adult life, ask the assistant if the shop stocked something called Trainspotting. For all the potential for militancy and transgression implied by these choices, I sensed the neutralising power of books floating on the surface of literature, made buoyant by marketing campaigns and bookchat, protecting paddlers from the deep. In my class innocence, I was never drawn towards genre or books with overt subject matter let alone those that were socially relevant. Instead I discovered Proust (hear how), Blanchot, Handke and Bernhard so, when I took a university access course and the English literature element included Walter Greenwood's Love on the Dole and a sociology textbook called Issues, I was bewildered. While this had everything to do with my world, it had nothing to do with what I read. What was going on? "The English hate anything which doesn’t return them to the prosaic and the everyday" says Mark Bowles, claiming to be fiction. "Grand passions and intellectuals are automatically suspect. They live under the sign of Necessity." When, finally, I got to university, I mixed for the first time with people from another class and from other countries. Another world. I was astounded to find living in my block a young German woman who had read Peter Handke. Later, I completed an MA by writing essays on Kafka and Bernhard. So had I found my true home? Well, that was the end of university and I had to leave. Fortunately, this coincided with the birth of the internet and the chance to continue off-piste. This was my true home, though it took years to recognise. I had no thoughts that writing about books might lead to gainful employment, but I did write a handful of reviews for various posh publications and assumed that meant progress, only for it to be a puzzling, unhappy experience. And while I had to stop anyway for reasons of health, understanding why it was unhappy involved shame: I had not been good enough. It's part of my background to make this assumption; I know my place. The other day I saw a link to a magazine promotion of its bloggers and anybody looking at it from a working-class background will also know within seconds that this is not their place at all, and know why. So, where now? It is easy to imagine that Ramuz actually experienced this drama, then overcame it, but was able to endure the deep pain it caused him by reliving it in a fiction. Before becoming an artist, he felt the need to express the paradox according to which someone becomes an artist in order to be faithful to himself, but sacrifices something of himself by being faithful in this way. This typically neat summary of a complex issue spoke to my shame. In the end, Blanchot argues that there is no necessary conflict for Aimé Pache because there is more than one way of being faithful to the land. The only problem is that "art is not just instinct" and what his fellows do unknowingly, Pache must do via knowing. The painter's lonely business is one of reconciliation. He wastes years of effort on a great canvas honouring his origins, but it never quite works: "What is natural about his wish becomes artificial and unmotivated in his work." I had assumed those who were involved in 'the industry' shared the same concerns. By drawing close to them I sacrificed what made my reading and writing vital in order to win credence from the aura of their social power, and made it artificial and unmotivated instead. Their patronage was all I needed to sacrifice to be faithful to my origins, because, if being southern English working class means anything to me, it is to be disenchanted of such a label: there was only ever a void to explore. A stranger not only in the social and cultural world: there is a veil between him and nature, between him and everything. He always finds himself face to face with the incomprehensible, inaccessible, the 'language of the stone'. And his only recourse is talking. This cannot be 'literature'. Literature belongs to those who are at home in the world. The moment we want to say who somebody is, our very vocabulary leads us astray into saying what he is; we get entangled in a description of qualities he necessarily shares with others like him; we begin to describe a type or a 'character' in the old meaning of the word, with the result that his specific uniqueness escapes us.